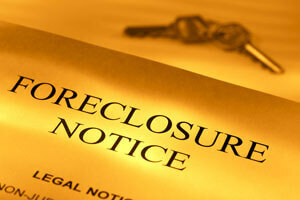 As reported on JD Journal earlier in the month, the largest foreclosure firm in New York has been removed from Fannie Mae and Freddie Mac’s list of firms for foreclosures. In a move related to that news, the firm of Steven J. Baum P.C. announced on Monday (November 21) that it would be closing its doors. The firm filed information with the Worker Adjustment and Retraining Notifications (WARN), the Buffalo and Erie County Workforce Investment Board and the New York State Department of Labor. The employees of the firm were notified of the layoffs when the information was filed with WARN. Baum employs 67 employees at their Amherst headquarters, which is a mix between full-time and part-time employees. There are 22 employees at the firm’s location on Long Island. It is required by the WARN Act that a business that has anywhere from 50 to 99 employees file notification of layoffs it the layoffs will include at least 33 percent of the staff. A notice period of 90 days must be given to the employees. “We will fulfill all of our obligations under WARN and during this process we will also fulfill our remaining work on behalf of our clients,” Mr. Baum said in a statement. The firm came under a lot of heat in October when photos from a recent Halloween party showed employees dressed as homeless people. This report was released in the New York Times by columnist Joseph Nocera. To make matters worse, the Southern District U.S. Attorney’s Office levied a $2 million fine on the firm. The fine comes from errors that occurred inadvertently due to human error. The amount of business done by the firm has decreased greatly over the past year due to major investigations and new state regulations that have had an effect on lenders and their attorneys. 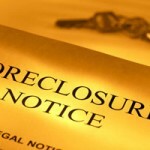 In 46,824 foreclosure cases across the state in 2010, the firm represented the plaintiff in 17,376 of those cases according to figures released by the state. As of November 21, the firm had been listed in only 2,895 foreclosure cases while the filings for foreclosures across the state to this point in the year were listed at 13,704. Robbie Vaughn of Vaughn & Weber in Mineola, a foreclosure defense firm, said that while it is unfortunate to see any firm go out of business, he is hopeful the Baum firm’s closure would ensure better practices among firms that continued to represent lenders in foreclosures. “Unfortunately, I guess they brought it on themselves,” Robbie Vaughn, of Vaughn & Weber in Mineola, said of the Baum firm. “My hope is some good would come out of it. It was nice to actually have them call you back or send you an e-mail. Previously, I couldn’t get through to anyone.